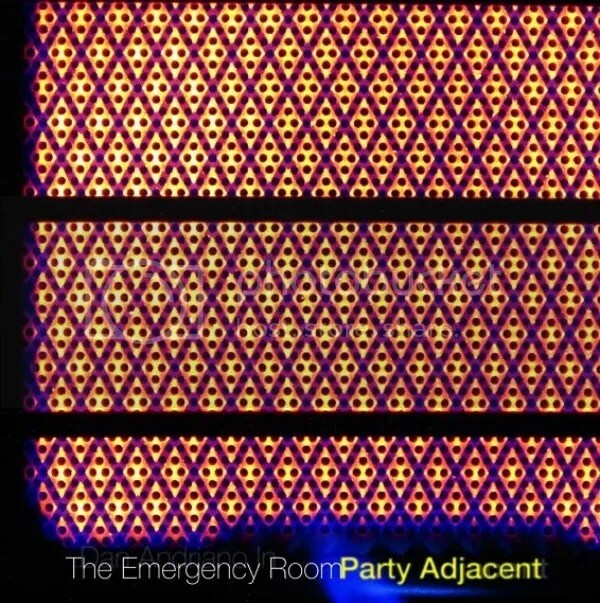 Party Adjacent is the second full length from Alkaline Trio bassist Dan Andriano under his “…in the Emergency Room” moniker; following on from 2011’s Hurricane Season. Opener ‘Pretty Teeth’ teases and teases that it’s going to get going and – when it finally does – slumps back down again into something more mid-paced. Unfortunately, ‘mid-paced’ will become something of a recurring theme with this album. Sound-wise, a lazy reference point here would be The Lemonheads as this album definitely sits closer to 90s indie/punk than to Alkaline Trio. At times, most notably on ‘Don’t Have a Thing’, Dan sounds reminiscent of Billy Bragg – a lone electric guitar and vocals – albeit less angry. I think this may be my biggest problem with this album. Whilst lyrically Dan can be somewhat negative – I don’t want to be the reason that you’re not happy perhaps being the best example of this – his vocal delivery doesn’t really convey his emotions. He sounds happy and content and, alas, I found the album almost washing over me. Don’t get me wrong, this isn’t a bad album by any stretch of the imagination it’s just… well… a bit dull. Unless you happen to be a big fan of mid-tempo 90s-sounding indie then you’ll have a ball. This entry was posted in Reviews and tagged acoustic punk, album, alkaline trio, asian man records, dan andriano, daniel andriano, indie punk, party adjacent, punk rock, review, xtra mile records. Bookmark the permalink.